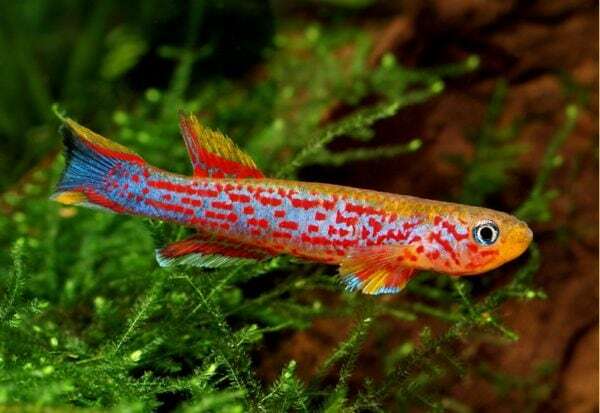 Brightly colored tank pets like the Killifish can be amazing beauties in an aquarium. If attractive substrate is well arranged, then vibrant plants added to complete the set-up, a tank can be nothing less than awesome. Killifish has won plenty of hearts owing to the well arranged patterns on its lithe body. That is not all; it falls in the category of fish with very few demands. However, first timers need at least two years of experience with the more hardy species before taking a try at this one. Also referred to as Cyprinodontifornes, the Killifish is known for its striking bright colors and well arranged body patterns. Like most fish, the males are more brightly colored than females. This feature becomes more pronounced during breeding. The head of both sexes is flat at the top. The mouth is found at the tip of their face. Within the mouth are curved and pointed teeth used to tear flesh into shreds that can be easily consumed. Scales on the body of the fish are round. The body of the fish is cylindrically shaped but slender. Some are often more cylindrical than others. Some of the fish posses rounded fins that are slightly short. Others have rather long yet broad fins. As a matter of fact, they vary in shape and size. This feature could be determined by a number of factors including mode of feeding among other reasons. Most killifish measure approximately 4 inches when mature. There are exceptions too, where a killifish can measure up to 10 inches. On its whole length are red spots, yellow, green and even blue. All of them are well defined and can be distinguished within a background of an almost silver appearance. They are relatively agile swimmers that prefer the bottom of the tank. Their body shape helps propel them to high speed that is demonstrated in their movement. This trait is mimicked from their natural habitat where they tend to swim close to the bottom of the lake or sea. The killifish females are rather docile and any number of them can be kept together if space is available. The males however, tend to be aggressive towards each other. The fish is a diverse species. It is widespread hence found in a number of continents with the exception of Antarctica and Australia. In Africa, it dominates a number of sea bodies with both still and fast flowing water. It is mainly found in fresh water bodies, though others inhabit brackish as well as salt water lakes. In Africa, where they are predominant, they inhabit shallow marshes, streams and swamps with overhanging tree branches. In fact, they are likely to be found close to the river banks. Here, trees offer a good shade away from the scorching sun. The water temperature is also slightly lower. A 20 gallon tank to house a pair of killifish. If intending to keep a larger species, a larger tank will be necessary. A shallow tank as they inhabit shallow water bodies in their natural habitat. Keep the water movement to an all time low. Lighting should be lowered to a minimum too. With overhanging branches, they hardly receive sunlight in their natural habitat. 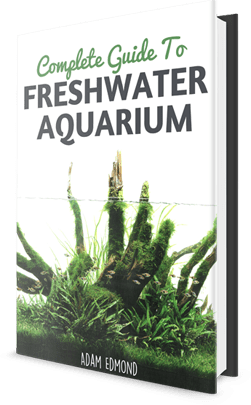 Choose a dark substrate like ADA AquaSoil that mimics that of their original habitat. Dark gravel with fine sand can do well for the fish. One point to keep in mind is to use gravel that cannot harden the water. Add rocks to the setting. Make an arrangement that mimics cave-like structures. Plants should be added to the tank as well. They should be floating plants as rooted plants may not last. Ensure there is a tight lid over the tank as they are swift and may swim out of the tank if it is left open. Water temperature of between 72 and 75F should suffice. A regular heater can help regulate the desired temperature. The pH may vary depending on where the fish was obtained. All the same, maintain a pH of 7. This can still vary between 6.6 and 7.2 without any harm done to the tank pet. A water hardness of about 122-162ppm would be ideal. A simple box filter can work in a small tank quite well. A larger tank will require a bigger filter. Killifish are carnivores that eat live foods like crustaceans, worms, insect larvae and crickets. They prefer live foods over frozen or dried feeds. For a hobbyist not prepared to look for live foods, perhaps it is not yet time to keep the killifish. When providing food to the fish, remember to balance its diet. This is especially important during breeding. Fish whose nutritional needs are well met breed successfully. Can be collected from fish ponds. A point of caution though- do not collect other organisms as well. It should also not be fed to fish exclusively as the tank pet may miss out on other dietary requirements. Provides numerous nutritional needs. Can be frozen too and still not have any negative effect on the fish. Can be cultured in the home by leaving open containers with water where mosquitoes can breed. Proper care should be taken so that the full cycle is not reached. White worms, black worms and tubifex worms can be obtained from fish food stores. Provide a small tank for breeding. Provide a substrate of sand and peat moss. Place the two killifish in the tank. The female will lay its eggs under the sand and completely bury them. Once the eggs are laid, the two parents should be removed from the aquarium. Provide a warm yet moist environment for the next three months. Add water to the tank for the eggs to hatch. For the first few days, the fry feed on the egg sac before graduating to other feeds like brine shrimp. Killifish are generally peaceful. Except for the males that fight for superiority, the females can be kept together. Fish species that can be kept together with the killifish are rummy nose tetra and neon tetra. Keep the tank clean enough to avoid diseases. While killifish have few demands, their tank needs should be met so that they stay healthy. They jump quite highly and may fall out of the tank if the lid is left open. They can live for between 3 months and 5 years. The killifish is a lovely and lively tank pet. It can be an interesting addition to the aquarium.